The challenge is on. I’m on a quest to come up with 365 reasons to use flaxseed. I’m balancing the academic pursuit with culinary delights by also seeking out 365 ways to use flaxseed. Along with each reason to use flaxseed, I’m gathering new ways to use flaxseed. If you don’t want to read why flaxseed is so good for you, then skip to the end to get this week’s recipe. Flaxseed contains two essential fatty acids (EFAs): alpha-linolenic acid (ALA), the parent fatty acid of the Omega-3 family; and linoleic acid (LA), the parent fatty acid of the Omega-6 family. Essential fatty acids are required for a variety of reasons, which will be covered more in depth throughout the 365 reasons to use flaxseed blogs. Then I went on to Cooking with Foods that Fight Cancer, written by two cancer researchers: Drs. Richard Béliveau and Denis Gingras. It is an excellent book, backed by medical research without sounding like a textbook. The second half of the book includes recipes using the 14 foods identified in the first half. I highly recommend it for anyone who wants to learn how to create an environment within their bodies that discourages the growth of cancer cells. The authors also recommend increasing Omega-3s and decreasing Omega-6s. They point out that an excessive consumption of Omega-6s leads to inflammation, an environment in which cancer can thrive. 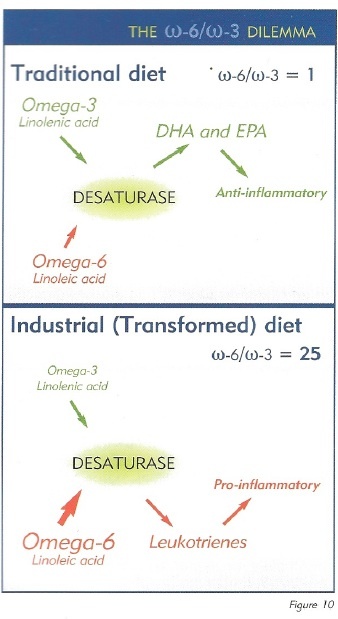 Omega-3s have an anti-inflammatory effect in the body. However, our bodies cannot convert the Omega-3s effectively if our intake of Omega-6s is too high. Our modern-day diet has resulted in our consuming 25 times more Omega-6s than Omega-3s. This has disturbed the balance between Omega-3s and Omega-6s. Since flaxseed is the best plant source of linolenic acid (LA), and only two tablespoons of flaxseed supply more than 140% of the recommended daily amount of Omega-3s, reestablishing the proper balance between Omega-3s and Omega-6s can only be of great benefit in fighting chronic illnesses that are associated with inflammation (such as heart disease, stroke, and cancer). “Wherever flax seed becomes a regular food item among the people, there will be better health.” (Mohandas Karamchand Gandhi, 1869-1948). 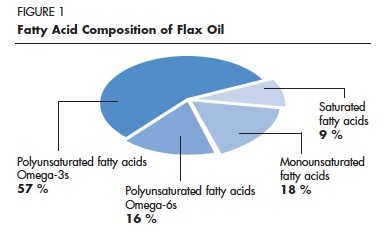 Flax – A Smart Choice (New Flax Facts), by Dr. Diane H. Morris, Flax Council of Canada, Winnipeg, MB, www.flaxcouncil.ca. Cooking with Foods that Fight Cancer, by Drs. Richard Beliveau and Denis Gingras, McClelland & Stewart, Toronto, ON (2007). 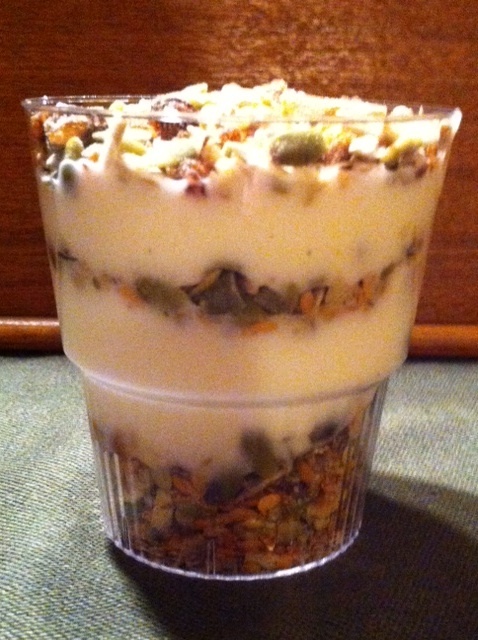 Put 1/8 cup Freaking Fantastic Flax© Trail Mix into a parfait glass or dessert dish. Add 3-4 tablespoons plain, unsweetened yogurt. Add another layer (1/8 cup) of Freaking Fantastic Flax© Trail Mix. Add another 3-4 tablespoons plain, unsweetened yogurt. Continue with alternating layers of Freaking Fantastic Flax© Trail Mix and plain, unsweetened yogurt until the desired amount is reached. 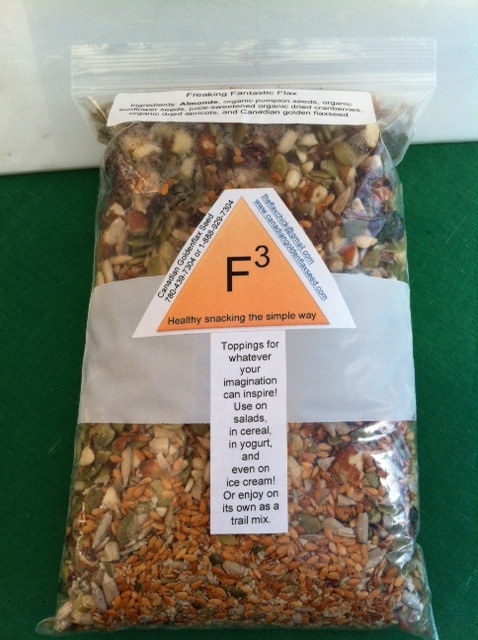 Top with Freaking Fantastic Flax© Trail Mix. Use ground Canadian Goldenflax Seed© instead of the trail mix. Add honey or maple syrup to sweeten the yogurt. Top with berries or other fresh fruit. Gluten-free, no sugar added, whole foods only topping for whatever your imagination can inspire! Just an update on the effects of over-consumption of Omega-6s in our diet. Hi Leanne! You can subscribe and that way you will be notified whenever I post a new blog. I’ll try to put up a new one every couple of weeks. They won’t all be recipes though. Some will simply be suggestions on how to use flaxseed that don’t involve a recipe. I’m trying to find as many recipes as possible and I do invite others to share how they use their flaxseed! Thanks, Leslie! There are a few of you who use the trail mix / topping as a cereal. I’m glad that you are enjoying it. Great Post Martha! Thanks for educating us about flax!! Thanks, Victoria! And the recipe for the trail mix that I use (with slight variations) is in your new book, Real-Life Vegan (http://www.reallifevegan.com/), right?